Hello polish lovers! I am Amanda from Amanda LovesPolish. I am SO EXCITED to have the opportunity to do a guest blog for Babi! I find them to be fun! Enough about me for now, let's talk polish! 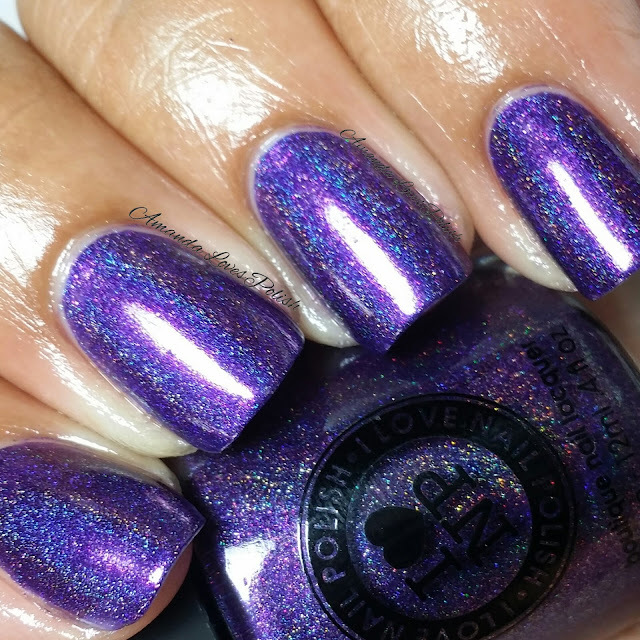 Purple Plasma is apart of the summer collection from I Love Nail Polish. It was released in May 2014. I used two flawless coats of this knock out polish for these pictures, no topcoat. Brush was perfect, application was a breeze, dry time was normal. Basically, I had zero issue. I would describe this as a rich purple polish with a pinkish red shimmer that peaks out at you in certain lights. It has a strong linear finish, which I personally love. 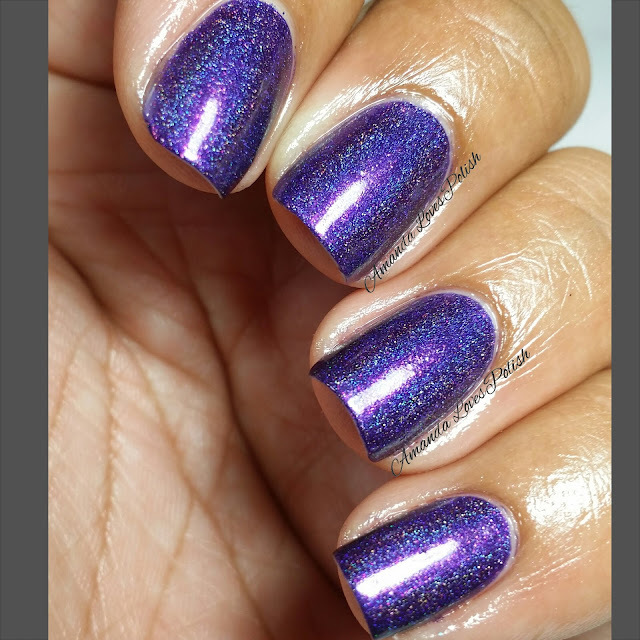 I Love Nail Polish or INLP describes it as: "Purple Plasma is a lusciously saturated electric purple holographic polish... you’ll see how the touch of red and gold sparkle"
My final thoughts... I love it, hands down people should buy it. Purple is my favorite color and purple with a strong linear holo makes even the worst days, brighter. You can find me via my Blog, Instagram and Facebook.